Was Bethesda’s press conference a sign of a changing industry? Bethesda doesn’t normally do E3 press conferences. As such, I didn’t really know what to expect – okay, I knew which games to expect, but I didn’t really know if Bethesda’s event would be anything truly worthwhile. I was so very wrong. Mostly. There were three titles that we basically knew would be there – Doom, Dishonored 2 and Fallout 4. Of course they also shoe-horned in some time about Battlecry and The Elder Scrolls Online in-between but even the fan-filled event didn’t seem to care about those titles. Even with those lulls, the vibe in the Dolby theatre (formerly known as the Kodak theatre, where the Oscars are held every year) was electric, and it wasn’t just the free popcorn and soda. In an industry that is increasingly all too serious and jaded, people seemed genuinely excited for what was on show. 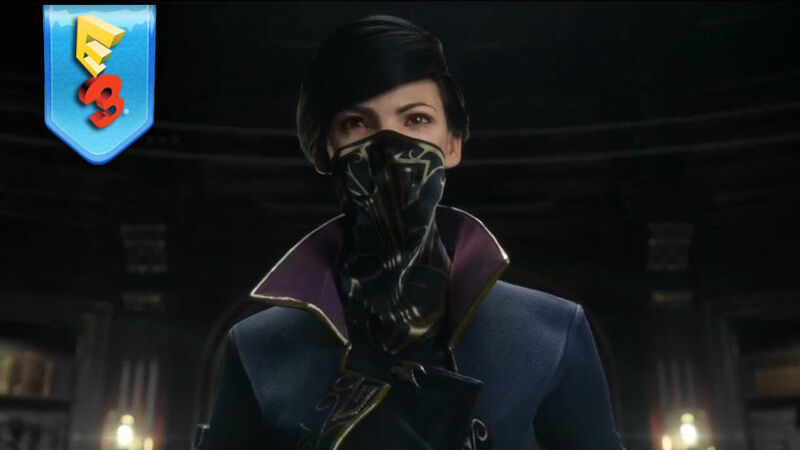 Yes, there were tons of snarky comments going around on twitter – people who wondered about the gore of Doom or who debated if having a female protagonist in Dishonored 2 was enough – but the overall response to announcements was of excitement. People weren’t so enamoured with the flashing wrist bands – they were cheering for playable female characters and customisation options. People were excited by what they saw that at the event, and I heard plenty of people saying that this makes them a bit more keen to see if Xbox, EA, Ubisoft and Sony can match that tomorrow. I was happy with the Bethesda event. Even if you’re not a big fan of Doom, or Dishonored, or Fallout, you could be excited by what the press conference showed about the industry. First up, it’s a wonderful sign that people spontaneous cheered to see female representation in Dishonored 2 and Fallout 4; even if Fallout always had female options, it’s cool to see this kind of affirmation for representation. Plus, with a full range of customisation options, players of all races and backgrounds can play as a character that more closely resembles themselves. Beyond that, Bethesda hit every point that we could have hoped for. Even their gimmicks were the types of gimmicks that gamers could appreciate – a Collector’s Edition that we all immediately wanted and even an awesome iPad game that can be played offline and was available before we left the theatre? It seemed like Bethesda has been listening to the enraged internet rants concerns of gamers and tried their best to deliver not only games that people would be amped about, but also policies to make those games worthwhile and fun for us all. And it’s that combination that will make Bethesda a tough act to follow. The E3 veteran press events will have to work hard to be interesting and relevant after those announcements. Can Xbox, EA, Ubisoft and Sony top Bethesda? Of course they can, but it will be a lot harder than any of us would have thought before the conference. They will have to show their commitment to gamers first and foremost, as well as put on an interesting show. It will make for an interesting gauntlet run tomorrow, and I’m hoping that I am left wowed by everyone at the (literal) end of the day. Previous article This Red Band trailer for THE OVERNIGHT is the sh*t! Next article Shoryuken! New Challengers have approached Super Smash Bros.